Parineeti Chopra is bubbly bollywood actress who is not only known for her acting skills, but also for achieving triple honours degree from Manchester Business School. She has been popular in the film industry since her debut. But now she is more popular for the way she managed to lose weight and drop form size 38 to 30. She appeared in her new look in the 2015 IFFA Awards and stunned everybody present there. It is more amazing because she is known to be a foodie and hates to do workouts. She has a body type that puts on weight very easily. So, if you are also looking for ways to lose weight, take inspiration from Parineeti Chopra and know how she lost weight so effectively. When Parineeti Chopra Decided to Lose Weight? She was chubby in the beginning of her acting career, but she did not take much notice of it until she realized that she had very few options when it came to wearing fashionable clothes. She understood how important it was to maintain one’s appearance in acting. It was then that she decided to shed the extra flab and look slim and hotter. Parineeti followed a strict diet plan for about six months. She restricted herself from eating sugary and high carb foods, as well as foods rich in fat. She stopped eating after 8 pm at night. Moreover, she ate healthy food and that too in limited portions. She slowly changed her lifestyle. During the first two weeks of her diet plan, she ate light meals and then slowly moved on to a stricter diet plan. But she still ate a piece of cake or any other food that she craved for, but in very small portions. The extra calories that she gained as a result were burnt by working out the next day. Along with a strict diet, she also followed an exercise routine. This accelerated her weight loss. She hated working out. But when she decided to reach her goal, exercise became a part of her daily routine. She found it boring to work out in a gym. So, she included other workouts to stay fit, like running on the treadmill, abs workout, horse riding, swimming and learning Kalaripayatu, a form of martial arts from Kerala. She also started taking dancing lessons. Since a lot of focus and strength is needed for her weight loss, she also started practicing meditation. This kept her mind healthy and focussed. 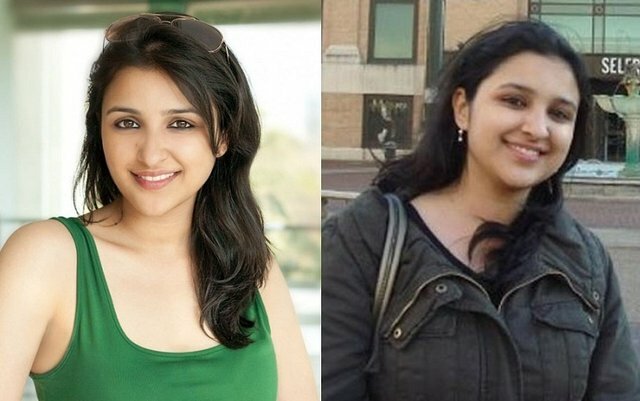 How Parineeti Chopra Lost Weight? Once you start following a healthy lifestyle, try meeting people who follow are healthy lifestyle and be inspired by them. Do not let others discourage you from achieving your goal. Tell your friends and family members how important it is for you to lose weight. Don’t do it just because you see every other person doing it. It is for you that you are doing it. Your weight loss goals should not be decided by others. When you are ready for weight loss, make up your mind and go for it. That way you will train your mind to follow a lifestyle that helps in achieving your goals. If you are not prepared, then you may lose your focus and may even gain some extra pounds. It is important that you stay focused and committed to achieve your goal. One day you can have foods that you crave for, but keep on strict diet on other days of the week. If you are really serious in your weight loss goals, write your goals and set a deadline. For example, if you wish to lose 1 to 2 kg per month and want to lose a total of 10 kg over a period of 6 months, then write it down in real numbers. Then you will be compelled to work towards achieving this goal. Remember to set realistic goal, depending on your current weight, medical history and ideal weight. Now that you have set your goal, take action as soon as possible. You can go to a gym. If you do not like it, then play some sport or start taking dancing classes. You can also buy some gym equipments and start working out at home. Practice yoga. You can exercise for 3 hours a week in the beginning and then increase it to 5 hours a day. To follow a healthy diet plan, buy veggies, healthy fats and lean protein. Stay away from potato wafers, processed foods, sugary foods and high sodium foods and eat healthy. Soak 2 teaspoons of fenugreek seeds overnight and drink the water in the morning. Consume foods rich in dietary fibre, like oats, broccoli, spinach, radish greens, collard greens, fenugreek greens, carrot, ginger and fruits with peel. Try to avoid ketchups, barbecue sauce, chilli cause, sweet chilli sauce, mayonnaise etc. Consume foods rich in healthy fats daily, like almond, fish oil, fish, rice bran oil, olive oil, pecan nut, walnut, avocado and clarified butter. Drink at least 3 litre of water daily. If you work out, you may need more water. 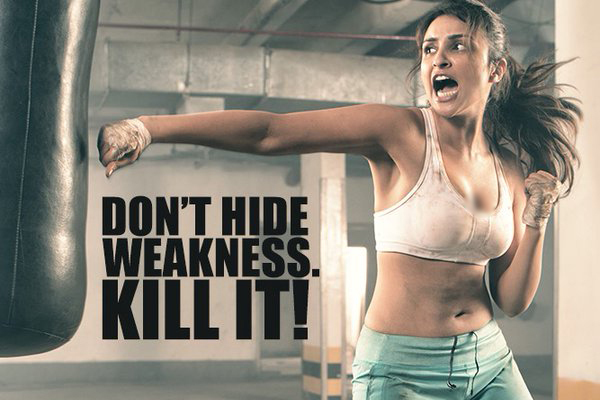 As we all have different types of body, what worked out for Parineeti may not work for you. So, seek the advice of your dietician before you decide to lose weight and follow the diet plan that suits you.